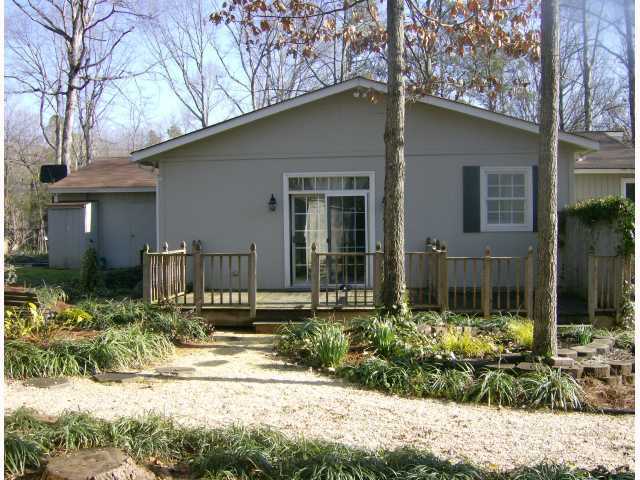 Front of Exterior - Excellent curb appeal! 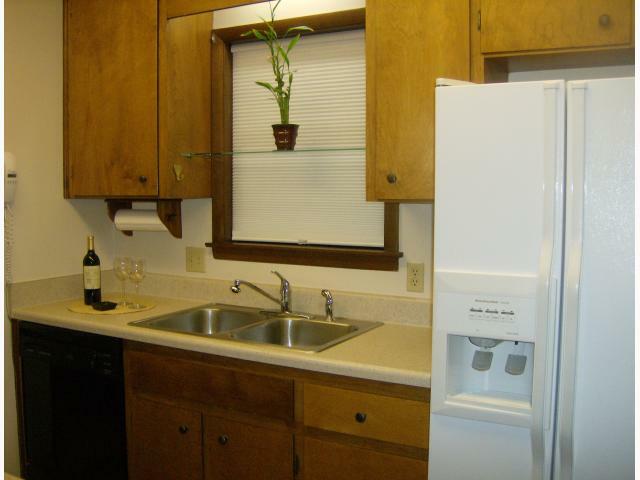 The neatly manicured lawn is easily maintained and the home has ample parking. In addition to the 1 car garage there is extensive parking space on the concrete drive and extra parking pad. 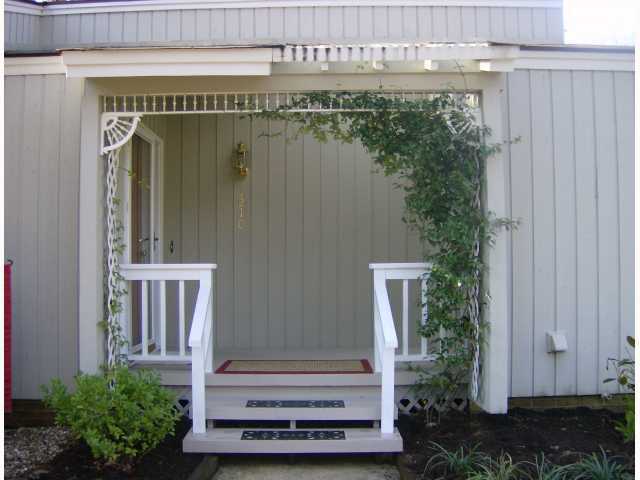 Covered Front Porch - This inviting front porch is just the beginning of the fresh look you will find inside this home. 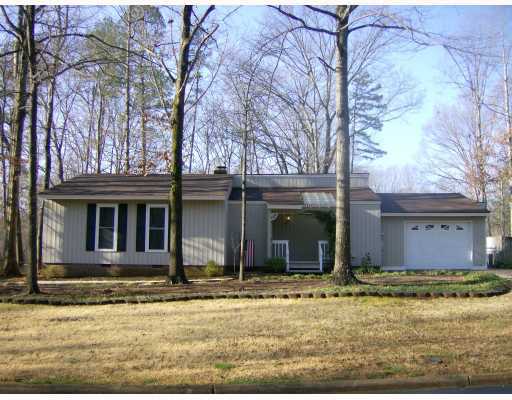 Your guests are greeted on this attractive covered porch then step inside to a spacious foyer. Kitchen - The efficient kitchen has been updated with new countertops and flooring. It has a built in microwave and updated electric range and dishwasher. The pantry (previous laundry closet) is huge with plenty of shelving and room to add more, if you choose. Living Room - With the addition of a media/family room you now have this excellent space for formal living. It offers a vaulted ceiling, fan and track lighting. 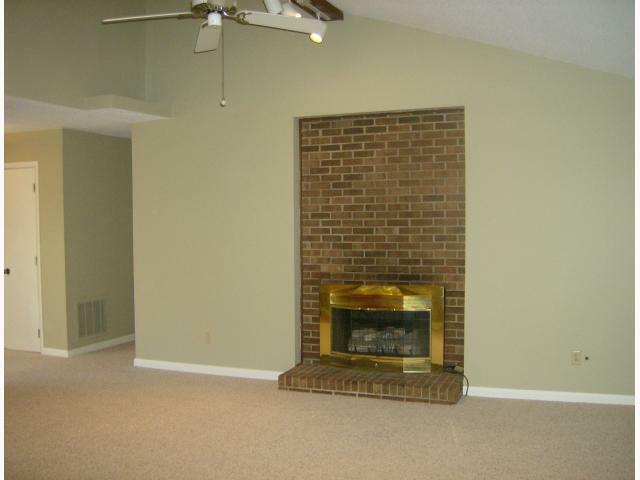 The brick front fireplace has a raised hearth, gas logs, blower and brass screen/glass surround. Dining Room - The dining "L" allows for small family meals or room to expand for entertaining a crowd since it open into the formal living room. The ceiling is vaulted and the light fixture is new. Den/Family/Great/Media Room - No doubt you will spend most of your time in this awesome 2003 permitted addition. 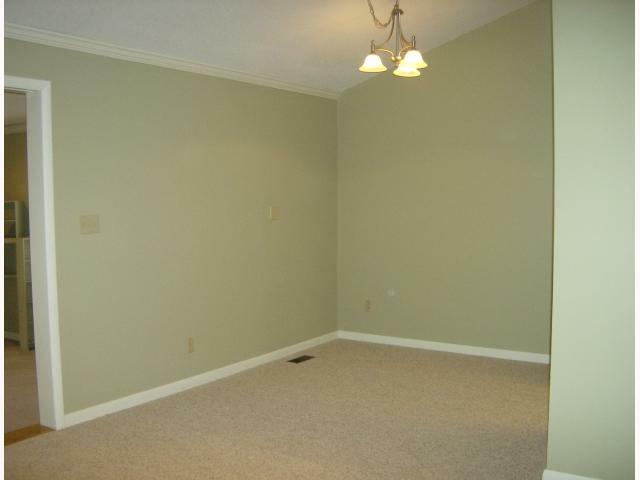 The media/family room has 10 ft. ceilings, recessed lights & perimeter lighting recessed behind the crown molding. The room has surround sound for movies, music or Xbox! 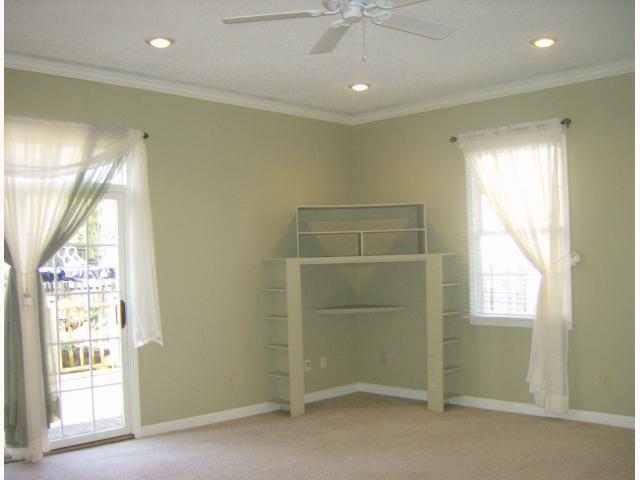 Master Bedroom - The master bedroom is spacious for a home of this age. 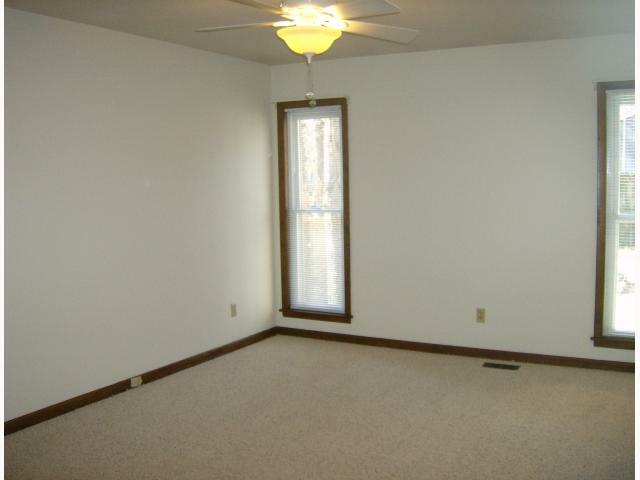 What cannot be seen is this photo is the huge walk-in master closet with built in cabinets and drawers. The closet is part of the 2003 addition & has the special feature of space saving pocket doors. Master Bath Area - Careful planning went into this updated master bath. 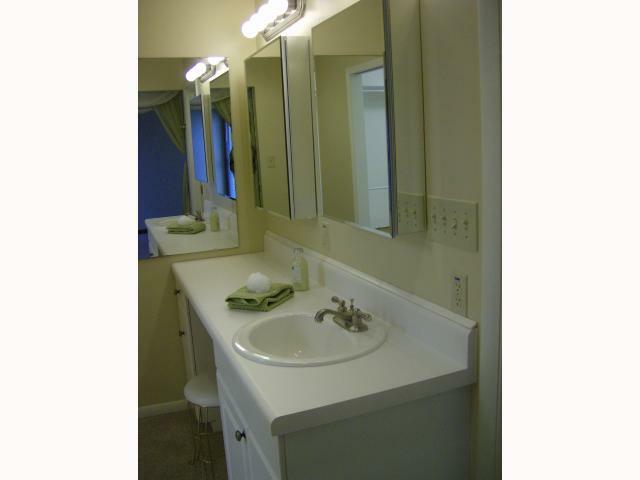 It has new lighting, cabinet, vanity/sink, fixtures, useful mirrored medicine cabinets and tub/shower. The tub/shower & toilet is private. You access the walk-in closet via space saving pocket door. Patio/Deck Back Yard Area - We'll skip the photos of bedrooms 2 & 3 to take you outdoors to enjoy the private rear yard and expansive deck for relaxing and entertaining. 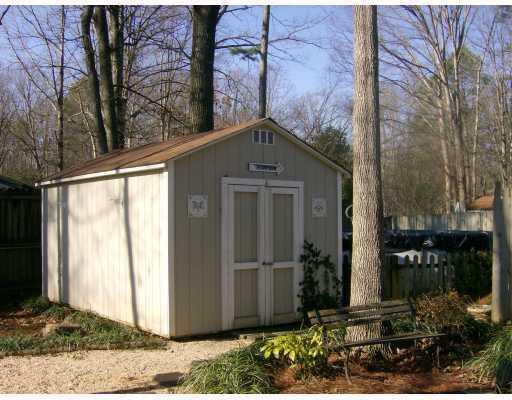 Storage - This attractive 16x10 shed is wired and ready for all your "stuff". Or you could make it an improvement project and turn it into and excellent woodworking shop. There is another shed (not pictured) that can be used for storage. 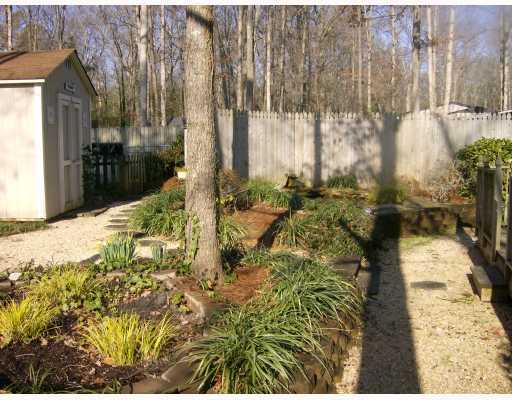 Land/Lot - This is just one view of the manicured park-like rear yard. To the right of the shed is an above ground pool (with decking) to be sold "as-is" or removed by the current homeowners. Your choice! 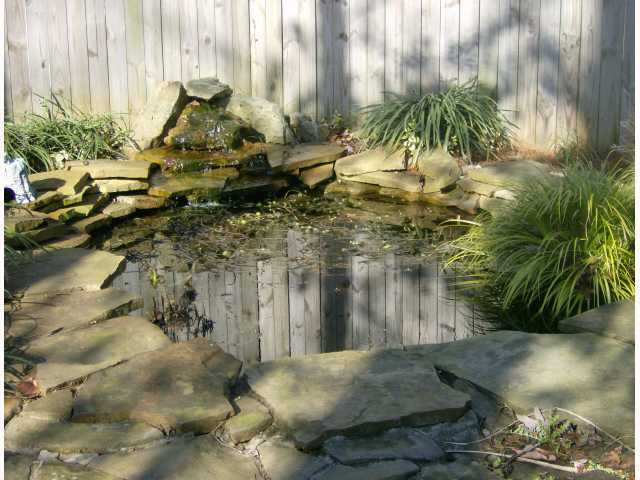 Back Yard feature - The park-like setting continues with your own fish pond! The owners would be willing to remove this but why wouldn't you want to keep it! The sound of the water cascading over the rock falls is so relaxing.